What are your preferred recipes for mulled wine? Recently I bought a bottle of red blend wine that turned out not to be to my taste for drinking, but I don't want to just pour the whole bottle out since I've only had a glass. The thought occurred to me that I could try my hand at making mulled wine, but the amount of recipes out there were a bit daunting. So I turn to y'all for help. I have a chili recipe I'm wanting to try that calls for one cup of frozen lima beans (plus canned pintos and various other ingredients). Unfortunately, while I can find dried limas and possibly canned, I can't locate frozen. Is there a problem with soaking dried limas and subbing them for the frozen? Or can I soak, cook, and freeze them if they're dried and not fresh? The only frozen bean I can be sure of finding, apart from string beans/waxed beans, are edamame. Has anyone cooked with shirataki noodles? I've never been good at figuring out the cooked yield (in cups) from dry/raw ingredients. If I want to use 168g (roughly 6 oz) bags of shiratiki noodles to replace 8 oz of dry noodles, how many bags/drained cups of noodles should I use? Coyoty makes eggnog overnight oats. A convenient breakfast for the holidays when you've got the eggnog and you don't want to make breakfast tomorrow. 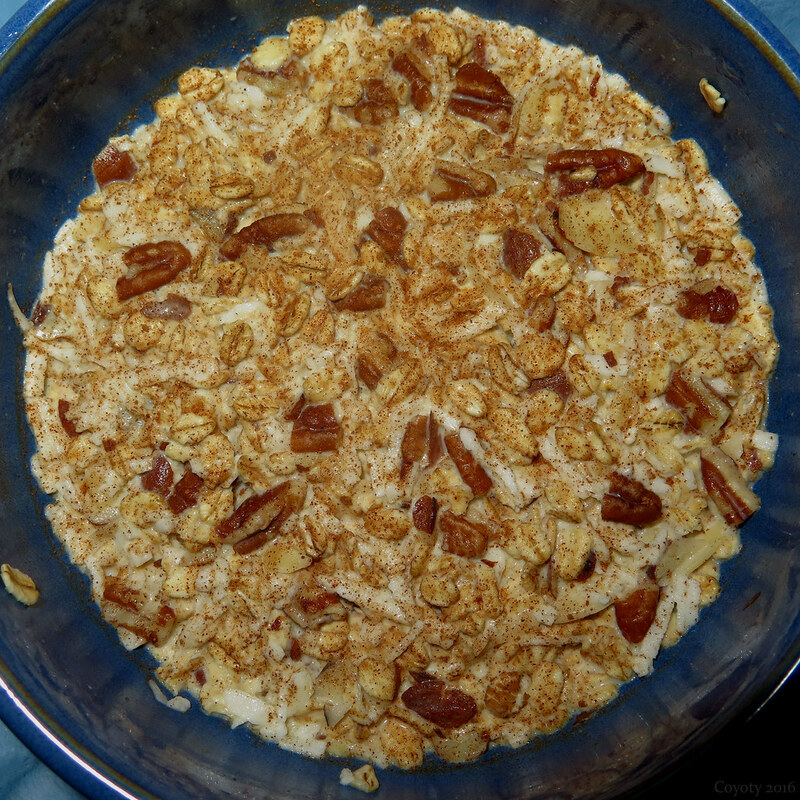 Mix up 1/3 cup rolled or old-fashioned oats, some fruit or nuts (I used slivered almonds, pecans, and coconut), a pinch of salt, 1/4 cup eggnog, and 1/3 cup milk, sprinkle cinnamon on top, and let it sit in the fridge overnight. The next morning all the liquid will be absorbed and the oats will be soft and sweet from the eggnog, so no sugar needs to be added. If you don't have eggnog, you can use other dairy such as milk, kefir, or yogurt. You can also mix in wheat germ, chia seeds, and other healthy fillers. Pour liquid from cherries into a saucepan. Add cornstarch, sugar, salt and lemon juice, stir well to mix, and cook over medium heat, stirring until thick and clear. Add nuts and cherries. Bring to a boil, check to see if it needs salt or a little extra lemon juice, and serve hot. This would probably go well with lamb or duck as well. I hadn't made this in ages and figured this was as good a time as any to try it again. Delicious and easy. Are plastic ladles safe in microwaved liquids? So can a plastic ladle--dipped into the heated liquid, not left in the dish to cook!--stand up to that, or should I spring for metal? ETA (9/23/16): I'll admit to having been shopping at the bottom of the retail food chain, at Big Lots and Walmart; based on everyone's advice, I think I'll go with a metal ladle at the moment (although silicon could further my determination to mark my territory in teal.) Thanks for your help, everyone! FETA (Further Edited to Add--11/13/16): I now have two steel ladles, acquired for a total $2.64 USD from an area thrift store that accumulates a lot of housewares. At a breakfast buffet this past weekend, I accidentally wound up combining the two in a chocolate-in-my-peanut-butter incident; the combination was unexpectedly glorious. Not a recipe so much as a suggestion: a peanut-butter-and-blueberry sandwich could be a potential quick breakfast or school lunchbox item. Current Music:"I Found My Thrill on Blueberry Hill" by Fats Domino. Other question - best tip for crispy skin, is it just make sure the oven is really hot when you put them in? Dry skin? 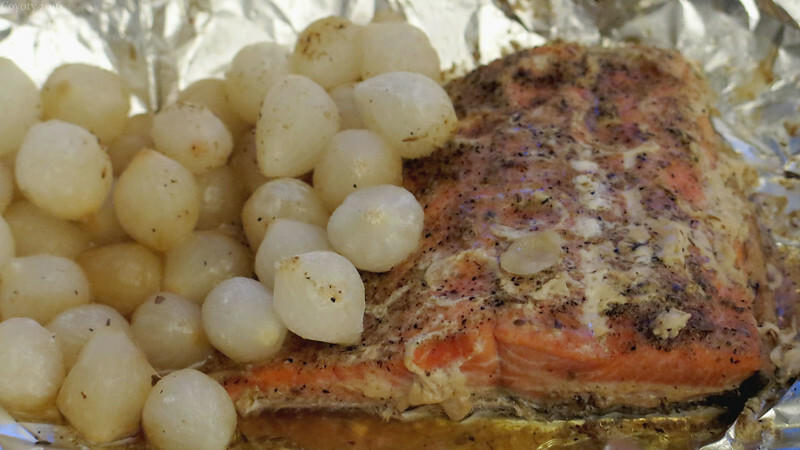 Coyoty makes roasted blackened salmon and pearl onions. This is one of the tastiest things I've cooked. Wild Alaskan sockeye salmon filet, frozen pearl onions, and truffle oil from Trader Joe's, with Chef Prudhomme's blackened redfish seasoning. I laid the filet skin-down on a large foil sheet, drizzled it with truffle oil, covered it with the seasoning, covered it with onions, covered the onions with the seasoning, sealed the foil, and roasted it for 15 minutes at 500 degrees F.
From the first onion, it was heaven. The onions picked up the flavor of the salmon, and vice-versa, in a good way. It would have been great without the seasoning, but the seasoning made it greater. I think the truffle oil made it the greatest. The fish was moist, flaky, and perfectly cooked. I'm making it again tomorrow. Help! My sister has celiac disease and she's so finicky with food we don't know what to feed her! Like, short term we are fine, she's having gluten free pasta and gluten free cookies, but she's always been super picky about food and we know this won't last forever. she loves pasta and gnocchi, so i'm looking up recipes for that kind of things, but if you can give me any cool recipes (+ advice if you have anything) we'll be very thankful! ps: this is not a child, this is an adult, 26year old woman, so we can't really force her to eat anything she doens't want to. I looked in the tags and memories but this didn't show up at all, so here we go. Hopefully this is okay! My husband got me a food processor for Christmas. It does not have a dough blade (he almost got me one with that but changed his mind). It's an Oster. It is still in its box as I don't have room in my cupboards to store it just yet, but I want to know what all I can do with it that I can't do with my other appliances. I already have a blender (the old 1970's kind my mom had when I was growing up) and a hand blender, plus a really small food processor that mostly just turns things into pulp (but it's great for when I'm mixing soft food for the guinea pigs and we spend like $10 on it so whatever). Aside from the cheese grating attachment, what is this device going to do for me that I can't already do with what I have? I know there must be things and amazing recipes I can do now that I couldn't do before, I just need to be pointed in the right direction. I started making this soup out of Anna Thomas's "Love Soup" cookbook and now my husband is completely addicted. I can't say the color is all that attractive, but if you like greens, you will like this. It's easy and fairly quick. The type of greens you choose will make a difference. Choose from chard, spinach, beet greens, mustard greens, collard greens, watercress, turnip greens, etc. 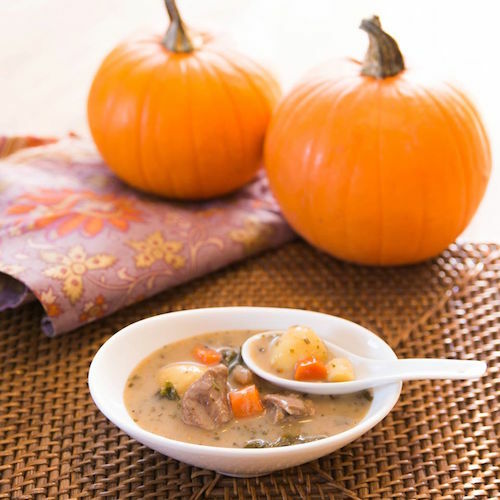 We found that turnip greens are very strongly flavored and made the soup somewhat bitter, whereas chard, spinach, and beet greens are on the sweeter end of the spectrum. My favorite version is made with spinach and collards. I adapted this slightly from the cookbook version and I would expect whoever makes it to add their own touches as well. Place all of the above in a large pot with 3 cups of water and a teaspoon of salt. Bring to a boil, reduce heat, and simmer about 30 minutes. Saute the onion slowly until caramelized, about 25-30 minutes, stirring often. At the last, add the garlic and let it sizzle briefly. Then add the whole thing to the greens and let simmer another 10 minutes. Let cool a few minutes, then puree in a blender or food processor in batches. You will need more liquid to do this and you can use water or broth, as you prefer. Return soup to pot. Heat gently and add a tablespoon of lemon juice, a good sprinkle of cayenne, salt and pepper to taste. Then season as you think it needs it - a hit of balsamic vinegar, nutmeg, and some cumin can really make this soup sing. Garnish with some feta or blue cheese or a drizzle of olive oil. Coyoty makes trashy brown rice with turkey gravy and spicy salami spread. Sometimes I eat out of a trash can. (Others may call it a multicooker.) If I have things sitting around in the refrigerator that I want to get rid of, but don't want to just throw it away, I throw it in the trash can with some rice and cook it on the rice's setting. (Unless it's something I can have for breakfast, then I use oatmeal instead.) In this case, it turned out really good. I had 1.5 cups of leftover Trader Joe's turkey gravy and 3 oz. (half a package) of Trader Joe's Nduja (a spicy salami spread), threw it in with a cup of Trader Joe's brown rice, and pressure cooked it for 25 minutes. 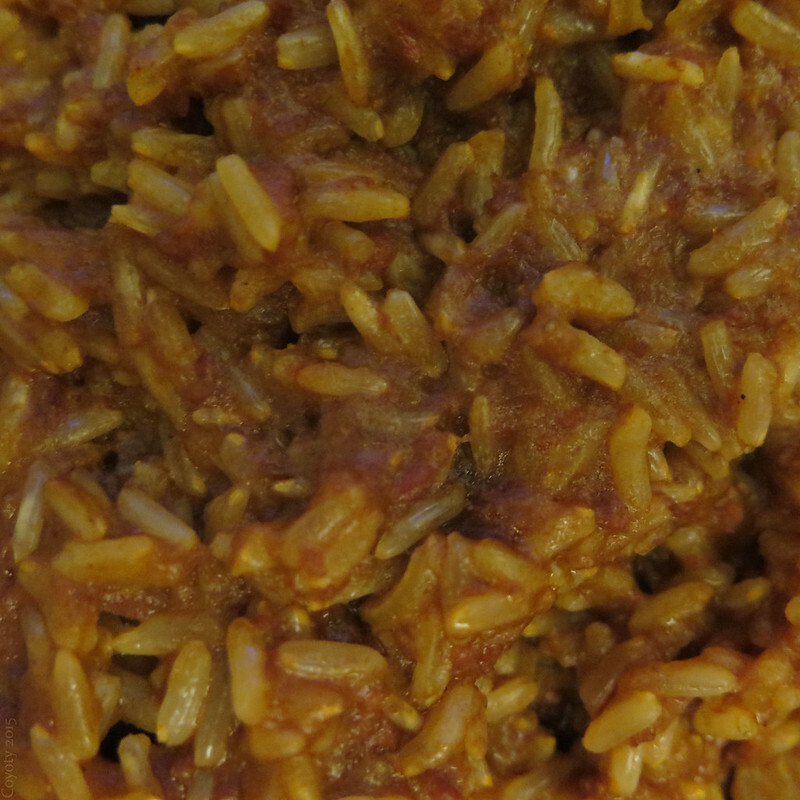 The result tasted very much like good Cajun dirty rice and beans, but without the beans. Mr. Jack Frost came in the night & claimed all the peppers off my red bell pepper plant, leaving them soft & soggy. Now I'm wondering of any good ways to deal with them now? I could throw 'em to the birds, but thought I might check here first? x-posted to thequestionclub, with a shrug. Coyoty makes a Trader Joe's Thanksgiving dinner. 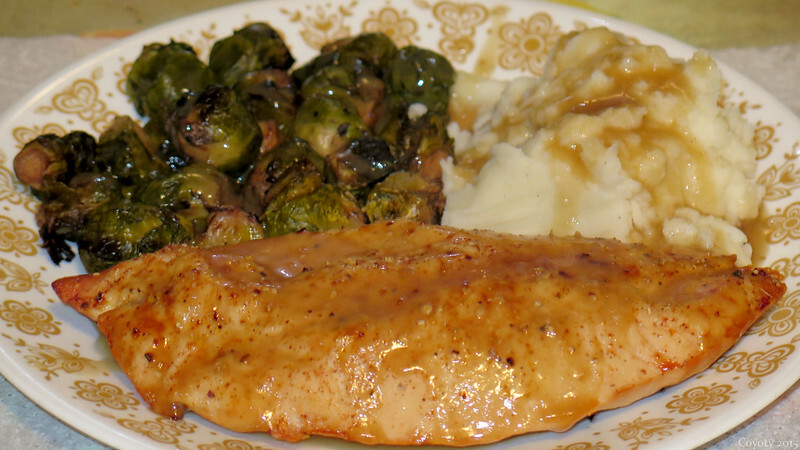 Baked Trader Joe's turkey breast tenderloin with Trader Joe's Brussels sprouts, Trader Joe's mashed potatoes, Trader Joe's gravy, and Trader Joe's Everyday Seasoning. The only thing not Trader Joe's is the Saint Lucifer Spice I added to the turkey. If I had known it would take a couple of overnights to defrost a couple of tenderloins, I'd have had Thanksgiving dinner on Thanksgiving instead of Saturday. Yes, The Plate is back. Gush away. Is there a place I can buy pre-chopped veggies of the organic variety?? I know this may be very location-specific... but figured it's worth a try asking here. I want to eat organic foods, and I like to eat a lot of fresh veggies, either in salads or cooked in the crock pot for the day... but I'm going to be pretty busy for a while, so I want to buy pre-chopped stuff. Which I see in the grocery stores around here (like ShopRite) all the time.... but, not the organic varieties. Is this something Whole Foods might have? Trader Joe's? I was wondering, assuming anyone still uses livejournal ever, if anyone might have any suggestions for reasonably healthy and delicious recipes that are for the microwave, or no-cook recipes would be great too. I'm currently living in a shared room for 3 months with only a microwave (not with oven function) and minifridge as the only kitchen amenities. One of my roommates might be getting a hot plate, but as of right now we don't have anything. I'm only here for 3 months, and can't really transport more gadgets, and I'd really not like to spend money buying things like a slow cooker that I'd just have to dump in the end. I don't make much money, and I'm a huge cooker and foodie normally, so the thought of living off of microwave packaged dinners for 3 months makes me kind of miserable. Boiled, baked and fried potatoes, french-fries and steamed potatoes – there dozens, if not hundreds of recipes of this vegetable known from the very childhood. For example, the most popular recipe of the project is potatoes baked with herbs orhomemade salad with baked vegetables and slices of rye bread. But new potatoes do not have so rich taste yet. It’s still so young. However, boiled potatoes are always a very good way out. Sounds boing? Okay, let’s add a little bit of madness. 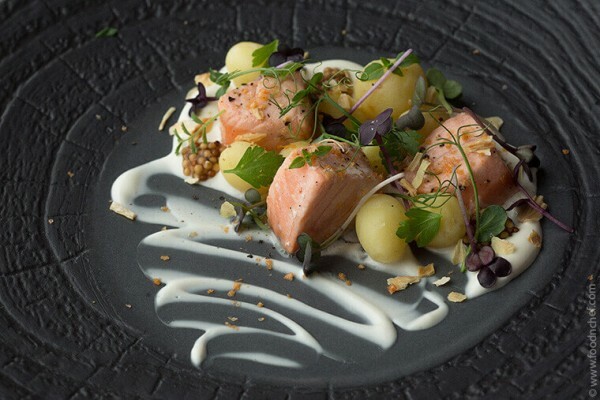 Let it be new potatoes in dancing salad swing with fresh smoked salmon. Sounds complicated? And who promised it would be easy? This salad recipe is very simple and even sounds familiar. But you’ll start appreciating the flavour in the course of cooking it. Chef Alexei Shvets is even crazier than us. He ordered “Let’s smoke it”, and waved his hand. In fact, smoked apple-flavored salmon tastes hell delicious and looks gorgeous. And he was not waving his hand, but for sure he was using the Smoking Gun device. This smoking device is a real catch for all lovers of culinary experiments. Not only world-known chefs use this compact, powerful and user-friendly smoking machine (remember Alexei? ), it can be simply used at your own kitchen. Yes, everything is very simple? just go to PolyScience and buy it. Peel new potatoes and boil in salted water with half a lemon. Remove the water and add butter. Cut the salmon into equal pieces, heavily brush with olive oil and place in the oven preheated to 60 degrees for 15 minutes. Chill. Mix the grape-seed oil with lemon peels in a ziplock package or in a vacuum container. Treat the lemon with boiling water to evaporate fragrant oils. Put in the oven on a steam regime at 70 degrees or sous-vide regime for 2 hours. Strain the ready-made oil a fine sieve and pour into a bottle. It will be useful. Mix all the ingredients except the oil, until smooth. Pour a thin stream of oil, while continuous whisking the mass. Key to perfect mayonnaise is the proportion of 1 yolk and 150 ml of oil. It will be useful. Cut each onion into 4-6 pieces, divide the layers and sprinkle with a little of olive oil. Put in the oven, preheated to 180 degrees until a light golden brown. Get it out, chill the oven, set the temperature to 80 degrees and put the onions back to complete dry-curing for 6-8 hours. Meanwhile, put the pieces of salmon in a small bowl and tightly wrap it with plastic foil. Make a small hole and insert the Smoking Gun tube into the hole. I also apply some tape to fix it accurately. Put the apple sawing to the gun, filling it by half. Switch on the Smoking Gun, set on fire and smoke. When all the sawdust burn out, turned the device off. Leave it for 5-7 minutes and then the salad can be assembled. Final Scene – Hell with Scene, it’s high time to eat! Mix the lemon mayonnaise with sour cream. Put the potatoes and slices of smoked salmon on top. All the remaining ingredients put as long as much patience you have, because the flavor will make you insane. Well, how does it taste? 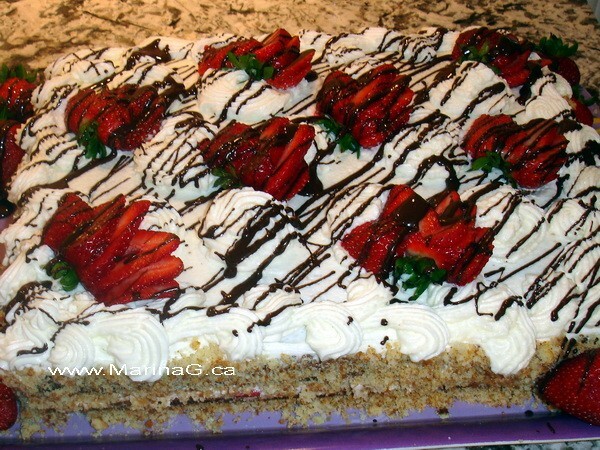 I don’t know about you but I adore strawberry desserts. As soon as the berry season starts, I take best advantage of it. 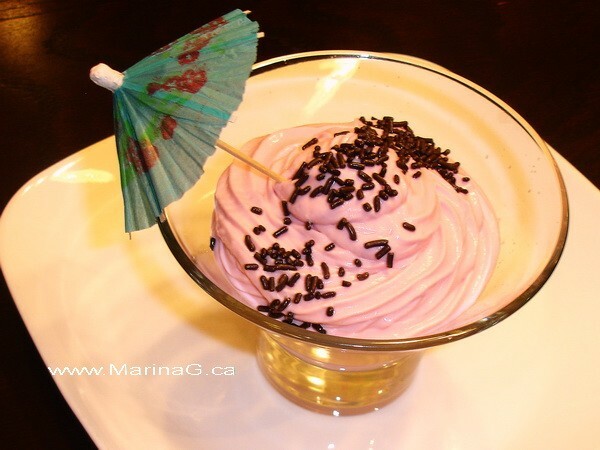 Great ladies from Make My Cake Patisserie shared with me a recipe of perfect summer dessert. 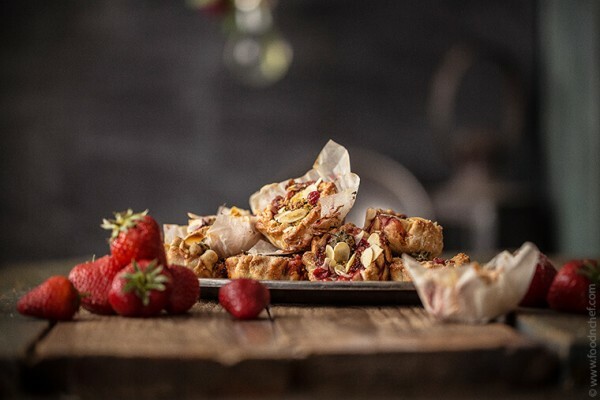 This dessert, strawberry galettes will almond cream, will for sure be a real gem of your summer dessert menu. And almond cream gives it a nice flavour and taste. I also have in reserve another cool strawberry recipe – Turkish delight from James Roy Oakley. There is so much strawberry everywhere, and you are already jumping into your shoes and running to get a few kilos of these sweet berries. Combine the flour, sugar powder and salt. Add the butter and knead dough until the mixture resembles very coarse breadcrumbs. Add the water, knead the dough accurately and quickly until well-combined. Shape dough into a disk, wrap in plastic, and refrigerate for 1 hour. Cut the strawberry into slices and toss with sugar and cornstarch. Mix it gently. 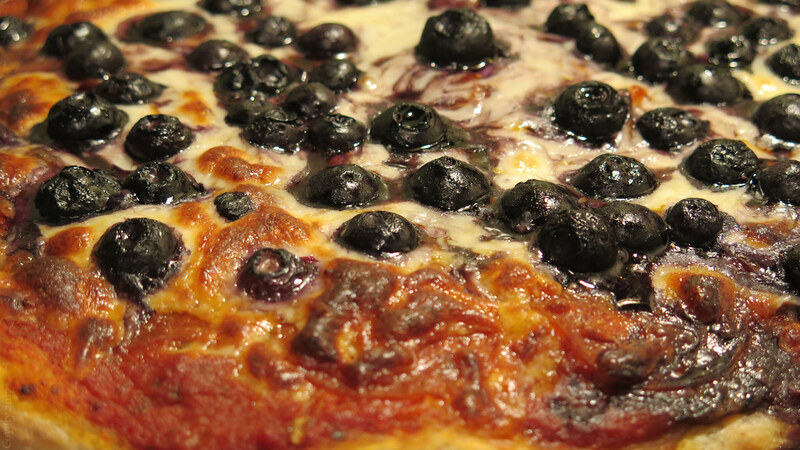 Take the dough from the fridge, roll it out and cut 8 circles of 12 cm in diameter. Cover the baking tray with parchment and put the circles. Put the almond flour, strawberry filling on top, leaving the edges free. Gather the edges of the dough by folding sections of the dough over the filling. Put in the freezer for 20 minutes. Brush the edges with whisked egg, sprinkle with sugar and garnish with berries. Sprinkle ready-made galettes with icing sugar, almond flakes and pistachio flour. U.S. prime ribeye will suit perfectly for this recipe, but it can be replaced with more affordable local beef ribeye. Popular ribeye recipes are steak recipes generally. But I want to share something really unique! Kenny Chan Kai-Tak taught me to cook this excellent dish of Sichuan cuisine – sliced prime ribeye poached in chili broth. 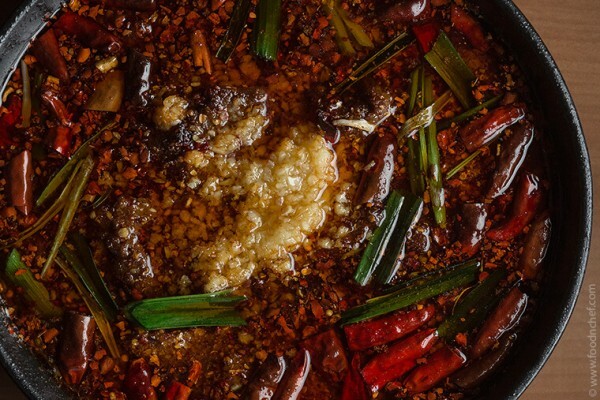 As a result you’ll get a huge bowl of tender and succulent beef slices swimming in a deep-red spicy broth full of Sichuan chilies and spices. But be aware while cooking it. Why? Read below. Kenny says this dish is a soul of Sichuan cuisine. It is the best way to sample the unique spiciness and tongue-numbing heat of my native cuisine while letting the flavor and texture of the key ingredients shines. Now you’ll also know how to cook Sichuan-style ribeye. But that’s Kenny’s words. And now listen to my story. My spooky story of how I’ve almost lost a few taste receptors. Well, maybe I have lost? Read my story below the recipe. Sprinkle salt and corn starch on the rib eye slices, then pan-fry the beef to medium well. Boil the bean sprouts in hot water and rinse. Place at bottom of the serving bowl. Heat and fry the seasonings in a Chinese wok. Pour in meat broth, hua diao wine and finally the brown gravy. Add the beef slices and mix well. Pour into the serving bowl when done. Add the leek, paprika, Sichuan peppercorn powder and garlic into the mix. Pour 300g boiling oil into the serving bowl and it’s ready. Something that may interest our Muslim readers. Scan Halal is an app, available from Google Play and the App Store, that will enable the user to scan a product and determine its halal status, with zahiba, nonzahiba, and custom options. Hello all! I am looking for some advice on how to cook tri-tip from sandwiches. Normally I would grill it but my new apartment has some very strict rules on that and I haven't gotten an electric grill yet. I have the recipe that I want to use but I was hoping for some advice on how to actually cook the meat. Also if anyone has any electric grill suggestions I would love to get those to. Thanks! Coyoty makes a green chili cheddar scrambled egg souffle. I'm not sure if it can be called an actual souffle, but it puffed up like one. 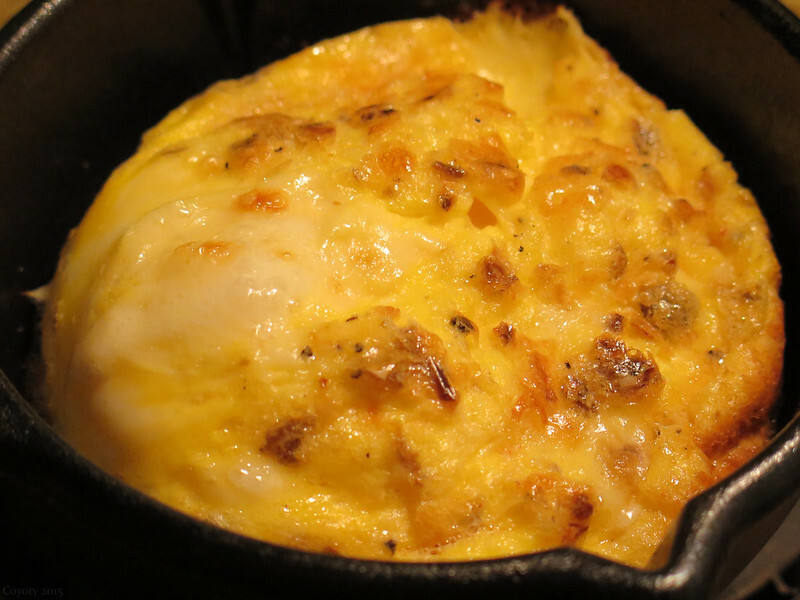 I scrambled two eggs with half-and-half, green chili flakes, Trader Joe's Every Day Seasoning, and cheddar cheese, and baked it for 15 minutes at 400 degrees in a small Lodge cast iron melting pot. I got a nicely browned puffy omelet with a crispy crust on the bottom. The green chili flakes were the best part. I'll be making more of these. I recently went onto a gluten free diet. Tonight I was going to have an omelet but wondered how it would be if I added potato flour, corn flour and xantham gum. So I did this, 2 eggs, salt to taste, 1 tablespoon potato flour, 2 tablespoons corn flour, 1/4 teaspoon Xantham gum and mix with electric mixer until blended and fluffy. Then poured into a hot pan, I used olive oil. Fry until browned, turn it then put shredded cheese on top. Turn off the burner and cover and allow cheese to melt. Very good! Now I wonder how it would be if I added some milk. Could add sugar to the batter and then put syrup on it. I will have to play around for variations. I will post other gluten free recipes but only the ones really worth while trying. I have made things that were terrible, not even edible. This is a fabulous dish that is very easy and packs a lot of flavor!! This recipe is curtesy of Cuisine at Home. 1 lb boneless chicken breast cut into 1-2" chunks. 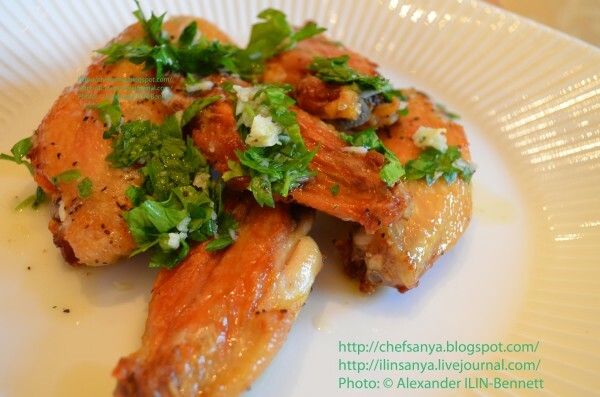 Finish with 2 Tbs fresh lime juice and 1 Tbs unsalted butter. Bring stock, coconut milk, sugar and salt to boil, add rice, cover and turn to low and let cook 15-20 minutes until liquid is absorbed. Remove from heat and let rest for 5 minute before stirring. Add fresh lime juice and butter and fluff. This recipe is just wonderful! 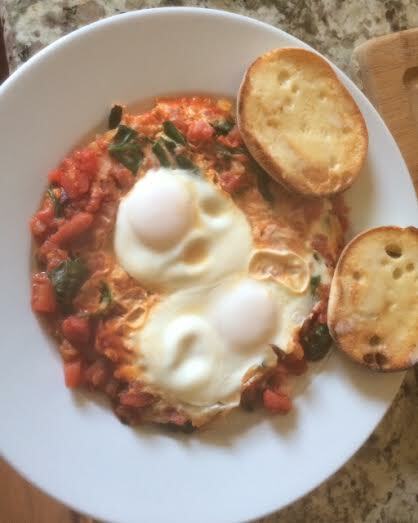 so yesterday I had some leftover tomato sauce that needed using, and I wanted eggs. so I decided to poach them in the tomato sauce. it was amazing. I had never had poached eggs in tomatoes before and I am glad I finally discovered this delicious treat! Yesterday I found that buttermilk, shaken well to make it homogenized and airy, can be used instead of milk or cream to make very tasty and fluffy scrambled eggs. I think the shaken buttermilk is thicker than regular milk and not as sweet as cream, so it acts as a tangy dairy equivalent of whipped egg whites. Community Design Photo Contest -- EXTENSION! The Community Design Photo Contest is still underway! 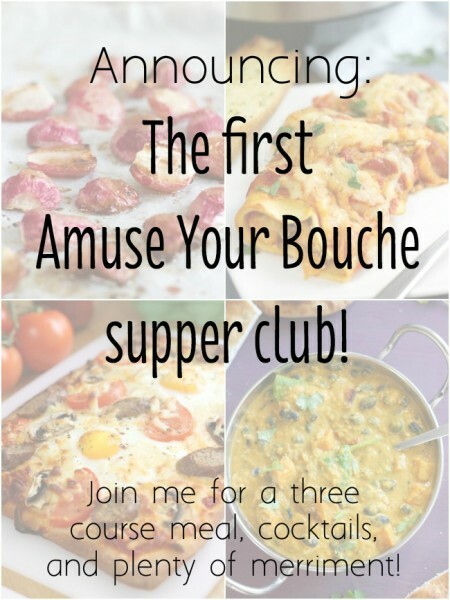 We don't have many entries still, so I am extending the deadline indefinitely (but not for long) while we peruse the archives for beautiful photos and ask their owners if they'd like to enter..
Amuse Your Bouche supper club in London! I hope nobody minds me posting this, please delete if inappropriate! The whole menu is vegetarian, and there are vegan and gluten free options too - but I've been told by a meat-eater that all the food was incredible, so don't be put off if you're carnivorous! 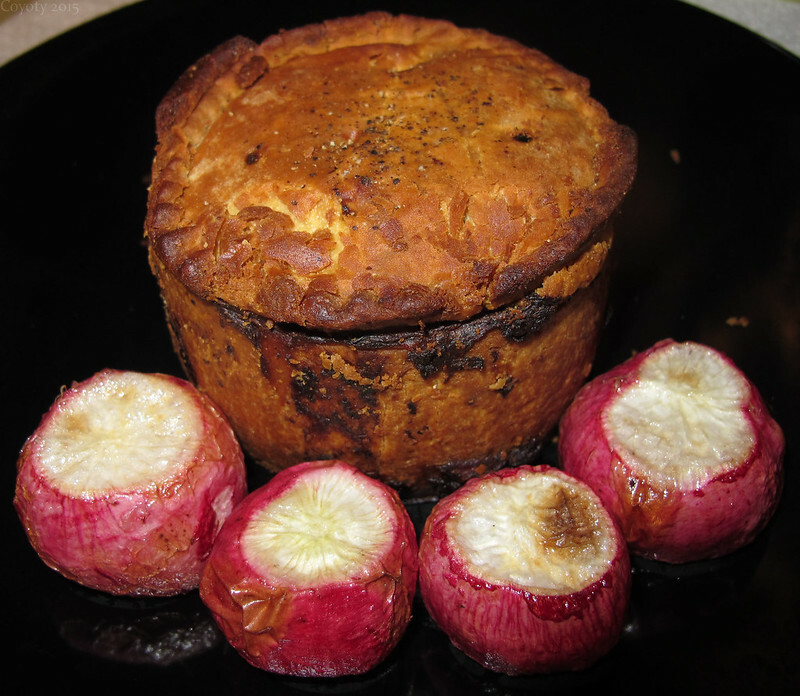 Coyoty eats Trader Joe's Steak & Ale Meat Pie and butter-roasted radishes. The radishes were a surprise. They came out creamy soft and sweet. I cooked them alongside the pie at 350 F. for 45 minutes, with a dab of butter on each cut end. I think they make a great substitute for roasted potatoes. Community Design Photo Contest -- REMINDER! Community Design Photo Contest -- REMINDER & EXTENSION! We don't have many entries still, so I am extending the deadline by one week. Mike lovvvvvves chocolate, but I could take it or leave it. Lately, without even realizing it, I've all but ditched chocolate from my repertoire. Instead, I've been making lemon like it's goin' out of style. Mike hates lemon. Basically I've been kind of mean. So for Valentine's Day, I made him ALLLLLLL THE CHOCOLATE in one dessert. And even I have to admit, this thing is amazing. I just polished off my third slice, oh man. It's super easy, too -- particularly if you split it up over a couple of days. And definitely make it in advance and let it chill overnight before eating it. It significantly enhances the flavor. Enjoy! To read my coffee opinions, give my coffee advice, and see more photos of this monster cake, come see the full post on Willow Bird Baking! Community Design Photo Contest -- UPDATES! We still don't have many entries for the Community Design Photo Contest, so I talked with LJ and they'd like to add prizes to the contest! I am also extending for a week to give people some time to enter, if they'd like. The Super Bowl is today. The Chicken wings are popular item. This is one of the ways I prepare them. Questions, comments, or concerns about the community? Click here. help: can i eat this?